The Little Felt Duck just joined the Muumade clan! Its sewing pattern & tutorial is now available from my online shop, Muumade.etsy.com. Also, please visit my blog page for more details regarding the Little Felt Duck. 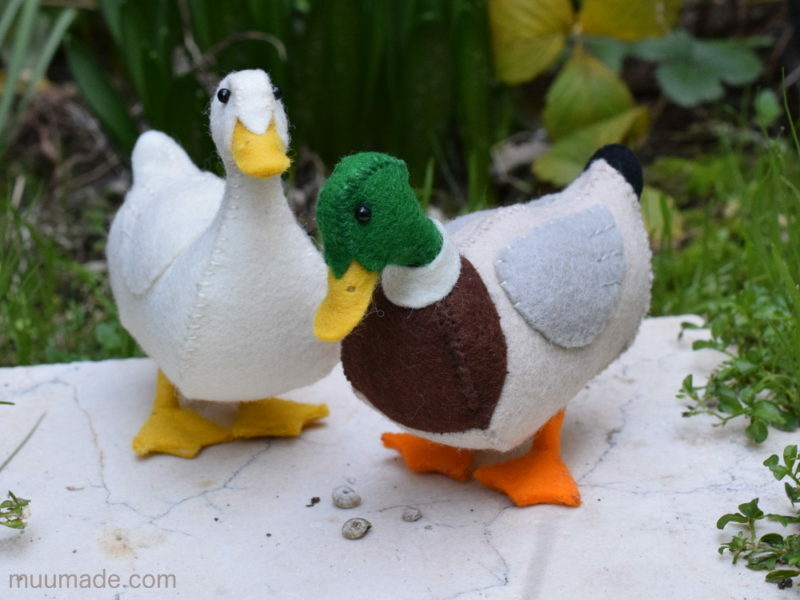 Included there are some adorable photos of two different kinds of ducks that you can make with the pattern & tutorial: the colorful Mallard and the white Aylesbury!